Breathtaking! 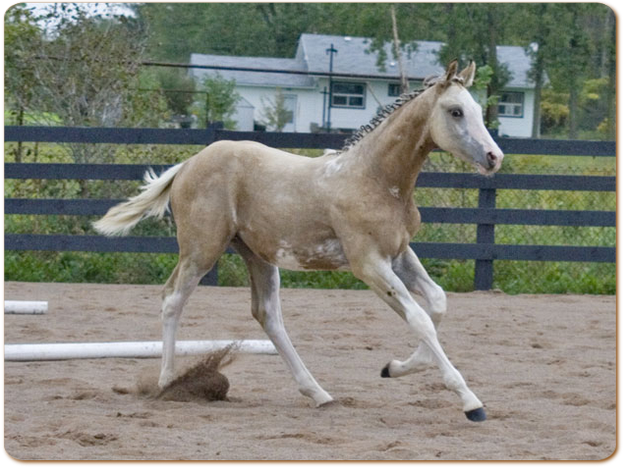 Is the only way to describe this beautiful colt. What a surprise we got with this guy! He is everything and more that you could dream of. Beautifully put together, personality plus, beautiful head, and colour to die for! He struts his stuff and loves to perform for anyone. He made his Grand appearance on May 17, 2008 and will certainly be a knockout in the ring. 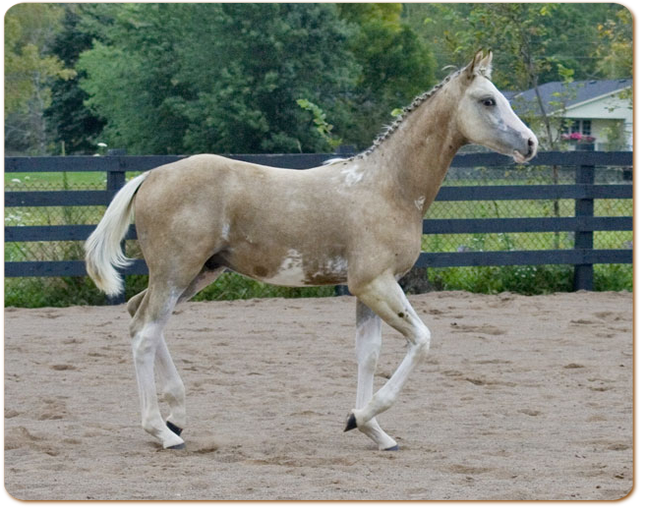 He is out of our Black Oaks Paris mare, a flashy bay sabino Thoroughbred and by Mirabeau, a 16.2 Cremello German Warmblood who stands at Blazing Colours Farms in Wellandport. 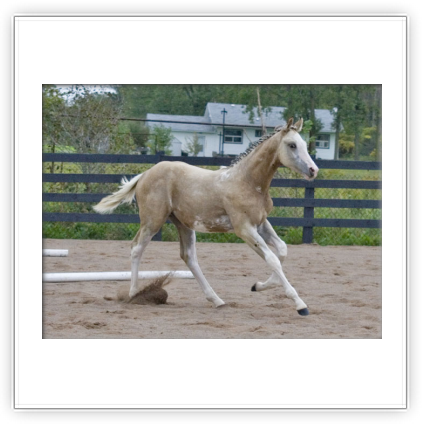 He is the second foal from this outstanding mare and she will be bred back to Mirabeau for a 2009 foal. Calipso attended a RPSI inspection in September 2008 and was awarded Premium Silver status. Congratulations to his new owners! 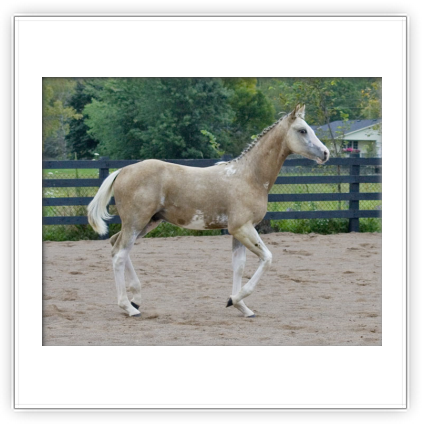 We will be proudly standing in the background as he carries on with his future in his hunter line classes, show ring and onto his breeding career! This first Mirabeau colt for us has been a thrill beyond words fand will be a knockout in any class. Good Luck!